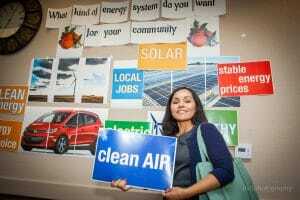 A diverse group of Fresno community leaders, residents, businesspeople, and representatives from various organizations and institutions gathered for a workshop on November 13th to learn about Community Choice Energy, share information, and ask questions. 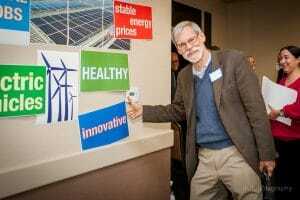 The event, co-hosted by the Center for Climate Protection and the Fresno Economic Opportunities Commission, took place at the Nielsen Conference Center in Fresno. Elizabeth Jonasson of Fresno EOC welcomed the attendees and offered Fresno EOC’s perspective on the potential economic benefits of local energy resource development. She was followed shortly thereafter by the Center’s Barry Vesser who asked for a moment of silence for the victims of the most recent firestorms, smoke from which was very evident in the Valley. The presentation highlight was a summary of the progress being made in nearby Hanford on Community Choice Energy by Hanford City Manager Darrel Pyle. Hanford, located just 32 miles south of Fresno in adjacent Kings County, has completed a technical study and is preparing to undertake its implementation plan. Hanford until recently was the only city in the Central Valley with a formal evaluation underway. It has been joined recently by the city of Stockton where the Legislative Committee of the City Council held a hearing on Community Choice on November 5th. About 30 workshop attendees helped give substance to the evening with their great questions. The Center’s Destiny Rodriguez and LaTisha Harris also chimed in on the presentation, but the real highlight of the evening was the dynamic and probing questions posed by the attendees. 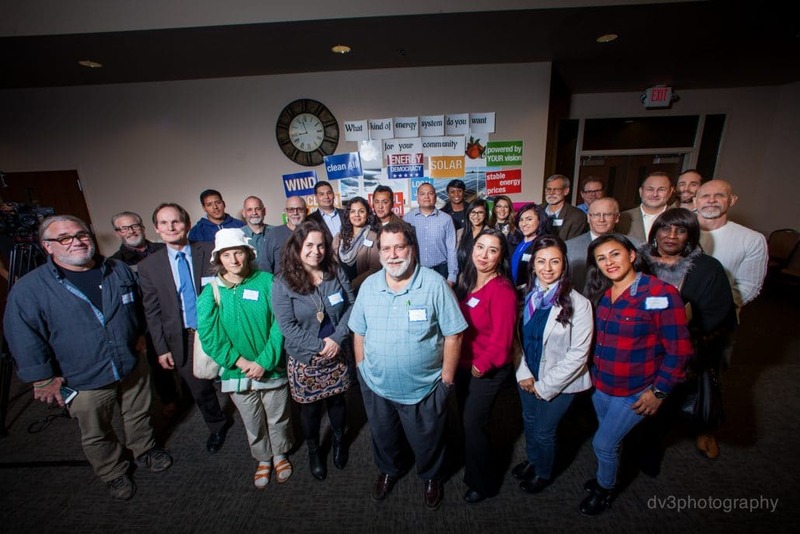 The Fresno community is challenged by many economic and environmental problems and although Community Choice is not a panacea, many of the opportunities that it presents were explored in depth. Attendees also had some fun with a “wall of choices” where they were able to highlight their favorite aspects of a clean energy economy advanced by Community Choice. Dolores Barajas, Executive Director of the Central Valley Air Quality Coalition with her not-so-surprising choice of priorities for a future Fresno Community Choice Energy program. The first step for the city of Fresno is for the City Council to schedule an informational study session so that they can hear from their peers in the nineteen operational Community Choice agencies and take their time to ask questions collectively in a public setting. For information and to stay up to date about future activities in the Central Valley, sign up for CPX E-News San Joaquin Valley HERE, and visit the dedicated Central Valley page HERE. Professor Alex Sherriffs, of CSU Fresno and UCSF School of Medicine highlights health.